I always love delving into the unusual here at the archive and from spooky spectres to spoon-bending we have it all, but one area I’m particularly fascinated with is the collection of imaginative illustrations dating pre-1960 which fantasise on what the future may hold in the year 2000 and beyond. These popular images regularly appeared in scientific and general interest periodicals, children books, collectables and magazines. Common illustrated themes included wonderful and complex infrastructure, high capacity and ultra hi-speed transport, space exploration and domestic living with machines for every chore you could think of. Much of the ideas depicted were entirely plausible at the time, for example video calling, but equally some imaginations of the future were a good way off reality and really delved into the realm of fantasy; ideas such as life on Mars in 50 years time and underwater bikes being used for the casual commute across the English Channel! One particularly charming example in the archive is the promotional sticker book published c.1950 by Belgian chocolate company ‘Aiglon’, titled ‘L’An 2000 / ‘t Jaar 2000’. The album features many unique future scenarios such as the dredging and reclaiming of the Mediterranean sea between France, Spain, Italy and North Africa, aeroplanes the size of cruise ships and post sent by intercontinental rocket. How I would have loved to collect each individual sticker with the purchase of a chocolate bar! At Mary Evans we are lucky enough to hold the full completed album (images below). 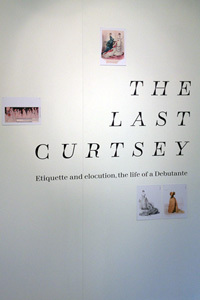 As much as some of the ‘guesses at futurity’ are hard-to-swallow, the images offer a fantastic insight into the vivid, thought-out and often humorous imaginations of our forefathers at what our world may look like by the new millennium. There are hundreds of images of the ‘future’ for your perusal on our website, which are available to license and you can find them here, but below you can see some favourites from a variety of sources – I do hope they delight! Left: Autogyros and other aircraft land on rooftops in the London of the future, by Henry Woolley in ‘The Wonder Book of Aircraft’, 1931. Centre: Postcard showing the New York of the future, date unknown. 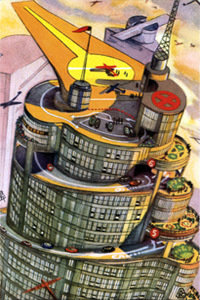 Right: A city street of the future by Henry Woolley in ‘The Wonder Book of Aircraft’, 1931. Left: Transatlantic tunnel, c. 1950 for the Biekens biscuit company, Belgium. Right: Observation of the sea bed from transparent-bottomed boats, using atom-ray illumination, c. 1950 for the Biekens biscuit company, Belgium. Left: Reclaiming the Mediterranean for agricultural use, c. 1950 for the Biekens biscuit company, Belgium. Right: Transcontinental metro travelling underground beneath continents, c. 1950 for the Biekens biscuit company, Belgium. Left: Super-jumbo aircraft carrier, c. 1950 for the Biekens biscuit company, Belgium. Right: Submarine motorbike, c. 1950 for the Biekens biscuit company, Belgium. Left: Channel road bridge between Calais and Dover c. 1950 for the Biekens biscuit company, Belgium. Right: Jet-propelled snow mobile, c. 1950 for the Biekens biscuit company, Belgium. Left: Traffic control centre, c. 1950 for the Biekens biscuit company, Belgium. Right: Monorail proposal, March 1941. Illustration by B und H Romer- Munchen, in Delhagen und Klafigs Monatshefte. Left: A prediction that aircraft will be guided to their destinations by beacons – vertical lights positioned beside motorways, indicating the route from town to town, c. 1935. 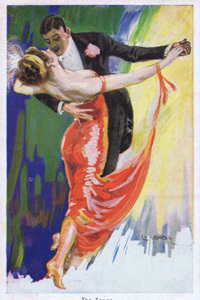 Collectors’ card by Byrrh, French aperitif. Right: A suggested central London overhead airport at King’s Cross showing aeroplanes landing on the runways of a huge wheel-shaped structure. Illustration by Charles W Glover in the Illustrated London News, 6 June 1931. Left: Prediction of what the railway train of tomorrow will look like. Totally streamlined for greater speed and economy, c. 1935. Collectors’ card by Byrrh, French aperitif. Centre: Future Transatlantic passenger liners, which will be aerodynamically shaped for faster travel. This vessel is based on a project by American designer Norman Bel Geddes, c. 1935. Collectors’ card by Byrrh, French aperitif. Right: Landing spot for airplane, parking space for cars on every storey, France, circa 1930. Above: Future vision un the year 2000, television-phone, colour lithograph, France, 1910. Above: Future vision in the year 2000, an electric scrubber, colour lithograph, France, 1910. Above: A futuristic home, with chores done automatically. 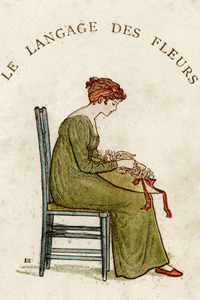 The housewife’s life will be an easy one in which she can sit back, read the paper and listen to music. Allers Familj Journal (Sweden), 24 May 1929. Left: A futuristic device to help a gentleman get dressed in the automatic home of the future. At the press of a button, a mechanical arm holds out his suit, top hat and walking stick, while a platform on wheels delivers his shoes. Allers Familj Journal (Sweden), 24 May 1929. 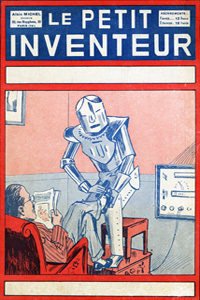 Centre: The servant of the future – a robotic servant polishes a man’s shoes while he sits reading in his armchair. 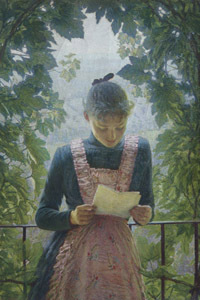 Le Petit Inventeur (France) c. 1929. Right: A futuristic invention for the lazy person — no need to leave your seat when you need a drink, in the automatic home of the future. A man sits in his armchair, smoking a cigar, while a mechanical arm drops through the ceiling to offer him a tray of drinks. Allers Familj Journal (Sweden), 24 May 1929. A devout railway enthusiast at heart, I regularly enjoy any images here in the archive that celebrate the railways throughout history. The library’s railway holdings span an eclectic array of subjects and media; from striking 1920s Art Deco travel and advertising posters, through to detailed technical drawings of early locomotives from the archive of the Institute of Mechanical Engineers. The railway-themed content available at Mary Evans is wholly unique and ideal for publishing projects, greetings cards and merchandise with that railway enthusiast in mind – a selection of my favorites you will find here. Whilst locomotives have been marveled since the birth of the railways, the more formal hobby of ‘trainspotting’ began in the early 1940s when Ian Allan, (of Ian Allan Publishing), worked in the PR department of the Southern Railway at Waterloo Station. The department was regularly inundated with requests from ‘railfans’ for numeric information on locomotives. As a solution to the requests and their increasing demand on time, Allan sought to compile a book of locomotive numbers as a handy resource for the enthusiasts and thus, the ‘ABC of Southern Locomotives’ was published. The popularity of the ‘ABC of Southern Locomotives’ acted as a spring-board for many more titles relating to different locomotives and other railway companies and resulted in the creation of Ian Allan Publishing. 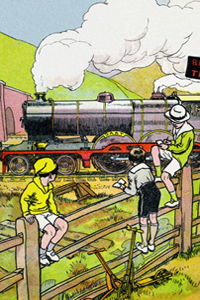 By the mid-1940s, trainspotting had become a national pastime and a particularly charming and nostalgic set of images are the illustrations and photographs in the archive relating to the enthusiasts themselves – evocative of the thrill and excitement of seeing a majestic locomotive roll-by. As well as out on the platform or by the track, railway enthusiasm is equally as popular in the home and was first introduced to households during the first half of the 1800s, in the form of model railways. The ‘Birmingham Dribbler’ was the first relevant and popular model locomotive which would simply run over a carpet or surface rather than a track. As enthusiasm for the railways grew, so did the demand for quality and realistic models, not only for locomotives, but also for intricate landscapes and environments to create scaled versions of ‘real-world’ railways. “The first mass market railway sets where made by Marklin in Germany in 1891 but it was a group of English hobbyists who in 1904 began model building” Gerald, BBC A History of the World 2010. In the UK, Hornby Railways (founded in 1901, Liverpool) carved its way as industry leader for railway modelling throughout the 20th century and to the present day continues to be a well-known household name. The growing popularity of model railways spanned all age groups and classes and they were even enjoyed by aristocracy, which included the 9th Earl of Lanesborough, who was photographed with his train set for The Tatler, 26th March 1958 issue. Denis Anthony Brian Butler, 9th Earl of Lanesborough (28 October 1918 – 27 December 1998), Irish aristocrat pictured with the large model-railway he had set up in his home, Swithland Hall. A railway enthusiast, he applied to British Rail to be a train driver but was unsuccessful! With the development, modernisation and upgrading of the railways, discarded and outdated railway artifacts, objects and printed material, collectively ‘railwayana’ started to become highly popular among collectors and hobbyists. 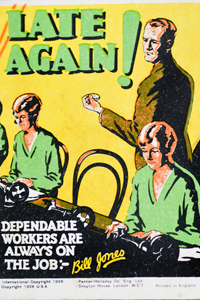 This continues to be the case with vintage British Railways travel posters, for example, regularly selling for thousands of pounds at auction. Dr. David Lewis Hodgson, whose archive we represent here at Mary Evans, created a number of photo essays during the 1960s which often focused on unusual events, experiments and people. A couple of excellent examples relating to railway enthusiasm include a series of photographs covering a British Railways memorabilia, or ‘railwayana’ sale, and an enthusiast couple who operated a model railway from their home complete with uniforms, a workshop and a Station Master’s office! More images relating to railway enthusiasm can be found here. Earlier this month The Science Museum in London opened their much-anticipated blockbuster exhibition ‘Robots’, the first of its kind in the world which charts a comprehensive history of robotics, from their early days right through to the robots of the future. I wanted to pick out some visual highlights from our archive, which show the diverse nature of how robots have been celebrated in visual media throughout the late 19th and 20th centuries. Robots, or ‘automated and mechanical machinery’ were often discussed in 19th century engineering and scientific periodicals, in speculation of how the future may look. An early example in the archive appears in the ‘La Science Illustrée’, 1896 which shows unusual-looking ‘futuristic’, metallic, almost anthropomorphic machines working on a farm. In La Nature, 1893 Canadian inventor George Moore’s ‘Steam Man’, a fully mobile robot automaton powered by an internal steam engine is featured. Early robotics are also featured in an 1886 edition of the British comic ‘Funny Folks’ with a slightly humorous illustration showing a railway commuter in an an automatic shaving and boot polishing chair. ‘The Very Latest Development of the Automatic Mania’, ‘Drop a penny in the hole and take your seat’. Robots were first introduced into popular culture by Karel Capek’s science fiction play of 1921, ‘R.U.R. (Rossum’s Universal Robots)’. Capek was a Czech writer who, through theatrics, made the Czech word ‘robot’ popular in the English language and synonymous within the realms of science fiction. A much-loved highlight of the Mary Evans archive is the extensive collection of Pulp Science Fiction magazines, published between the 1920s and 1950s and acquired for the library by Hilary Evans. 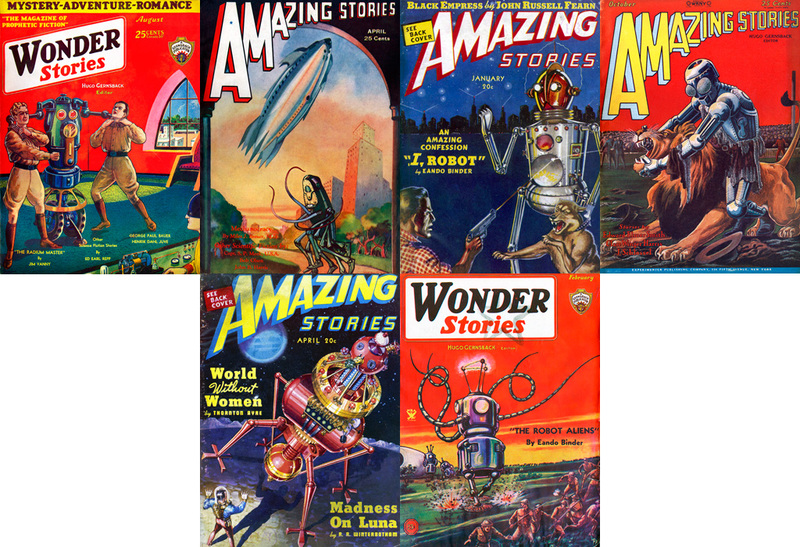 Whilst the stories inside were published in monochrome, the illustrated front covers were reproduced in vivid colour with imagined, utterly bizarre scenarios and many of the stories were based on, or featured robots. Sometimes they were friendly, sometimes not, some from other planets and some closer to home, but nevertheless certainly ‘amazing’ and ‘startling’ as the titles would suggest. Karel Capek and a programme for the first English production of the play, also known as R.U.R. and written by Karel Capek, when it was performed at St. Martin’s Theatre in London. Robots were also the focus of many non-fiction stories. Throughout the early half of 20th century, the Italian Sunday supplement, Illustrazione del Popolo (supplement of the Gazetta del Popolo), was well known for its vibrant, candid and overtly dramatic covers based on unusual events-of-the-week throughout the world. As well as coverage on subjects such as the paranormal, bizarre crimes and freak weather, robots were also a hugely popular feature of the news. The Illustrazione del Popolo flourished during the early advances of robotics at a time when they were still objects of wonder and fantasy and the newspaper played on this aspect, presenting robots in all sorts of curious situations and interactions with people. Robots as a feature of disguise were often reported, one cover of the Illustrazione del Popolo, 18 August 1935 edition; shows Zorinna, president of a naturist club in San Diego, California, carried off by a humanoid robot – much to the horror of her fellow club members. The paper reports that this robot is actually a man in disguise, who thought it would be a crafty way to enter the camp, for what we can imagine would certainly be lewd activities (men were barred from entering)! Another ‘deception by robot’, in the 6 January edition of the same year, we see a robot or a ‘Man from the year 2000’ has been the subject of an arrest in the Italian city of Pavia on the suspicion that it is actually not a robot, but an imposter – merely a man in disguise. 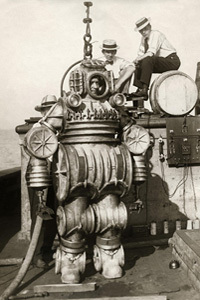 The paper reports that the imposter had been disguised as a ‘Mechanical Marvel’ which had been touring around several Italian cities on an extended tour of Europe. A few more examples include an anthropomorphic robot, which appears in a 1929 edition of the ‘Illustrazione del Popolo’ – in the form of a robotic guard dog, which had been invented by a French engineer. The illustration seems to show the robot in action, having deterred a gang of burglars – very innovative! Another quirky illustrated scene sees a New York impresario replace his chorus girls with electrically powered robots, however his ingenuity is not well received by the audience (!) 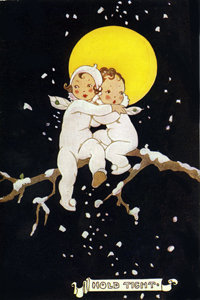 in the Illustrazione del Popolo, 16 December 1928. Eric the Robot was Britain’s first robot, designed by Captain William Richards and engineer and inventor Alan Reffell (pictured below) Eric was originally built to inaugurate the Model Engineering Exhibition at the Royal Horticultural Hall in London, 1928, in place of the Duke of York who could not attend, but Eric proved so popular he subsequently toured the world and drew in the thousands. They would flock to see this new mechanical man rise, bow, make a ‘speech’ and stare in wonder at his flashing eyes and teeth! Shortly after his world tour however and with the continued advance of technology, Eric sadly disappeared from the world stage and was long forgotten about, until recently. As of last year the Science Museum had successfully funded via Kickstarter a campaign to rebuild an exact replica of the famous Eric, (what happened to the original Eric remains a mystery) and is now one of the stars of the Science Museum’s ‘Robots’ exhibition. A notable example of Eric’s news coverage appeared in the Illustrated London News,15th September edition 1928, in the form of a diagrammatic illustration by artist George Horace David (G.H. 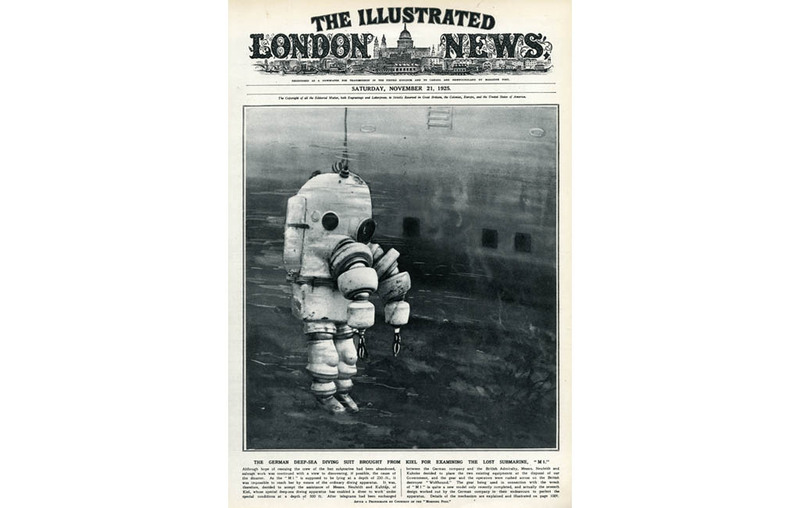 Davis) who worked for the Illustrated London News for 40 years up until his death in 1963. The illustration gives a unique cross section showing how, concealed in his body there is an electric motor and a system of pulleys and cables. Eric also featured on the cover of French periodical ‘Le Petit Inventeur’, a wonderful illustration with Eric giving a shoe polish, a caption accompanies the illustration. ‘This scene is not a fantasy, the future will bring us even more surprises’. Pictured above right – Mr. Refell, inventor and engineer from Surrey with Eric the robot. A greater selection of archive imagery on robots can be viewed here.